This paragraph defines great wine of any kind, I think, and the Zanusso family live up to their philosophy. Their varieties include the native varieties Ribolla Gialla, Friulano (formerly known as Tocai Friulano), Malvasia Istriana, Verduzzo (in dry form, which is unusual), and a little Merlot, which has so acclimatized to this corner of Italy that it's practically native. All of the wines are grown organically, and are cleanly but very naturally made, expressive, distinctive and mouthwatering. The winemaking is essentially the same with all of the whites, except the lees-aged wines and the sparkler. The whites are not macerated with the skins, they are fermented using indigenous yeasts, and they age on the fine lees until bottling. I am fascinated by Italian sparkling wines made of indigenous Italian varieties, and the Zanussis make a really good one. 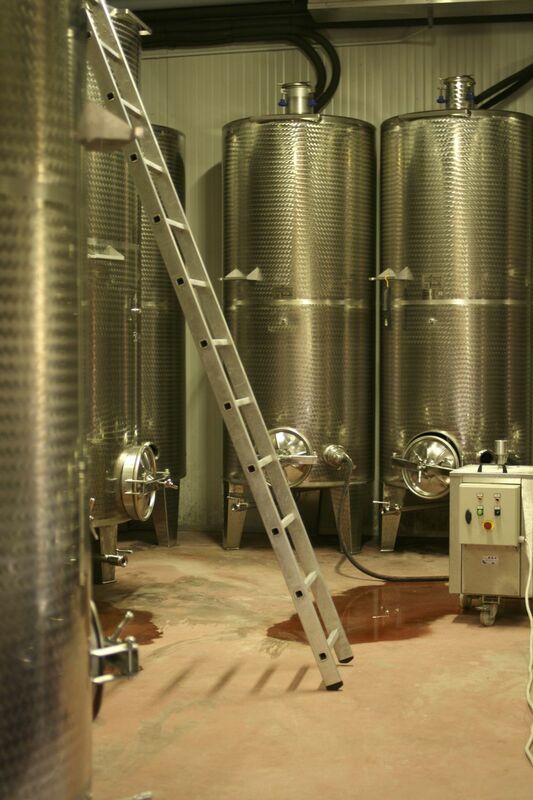 It's not made by either of the normal methods used to make dry sparkling wine, but rather by the method used to make Moscato d'Asti, which involves putting must into the special fermentation tank, and fermenting all the way from grape-juice to sparkling wine in one step. The wine is then aged in the tank on the lees until judged to be done, then decanted off the lees and bottled. (Some top-end Prosecco is made this way, too, such as Sorelle Bronca's 'Particella 68'.) The benefits from doing it this way, rather than by fermenting once to make white wine, then a second time to make sparkling wine, are preservation of aroma, and reduction in alcohol; when you re-ferment it adds around a degree of alcohol. I love this wine; bone dry, but with a toasty note from the lees contact to balance; minerally, savory, mouthwatering, the perfect aperitif. Complex, distinctive grape variety showing notes of herbs, citrus, almond, flowers; the structure of I Clivi's version is very mineral, very fresh, obviously a wine for food but I love it as a dry aperitif too, mouthwatering. 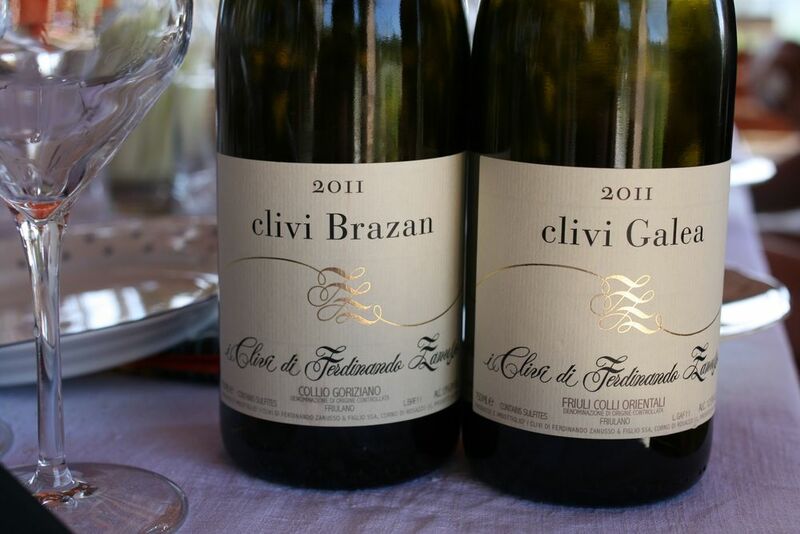 Although it is now known that Friulano, formerly called Tocai Friulano, is not related to Sauvignon Blanc (it is in fact the same as the minor Bordelais variety Sauvignonasse, according to Jancis Robinson), it does show clear herbal notes. I love Sauvignon Blanc, but this wine shows a more broadly useful balance between herbal flavors and nutty or citrus notes. Bright, fresh, complex, delicious. This was the wine that alerted me to the quality of the estate when it was suggested to me by Taylor Parsons at Osteria Mozza. Distinctive variety perhaps best known for sweet wines. This dry example shows a distinctive oily, slightly phenolic texture, fresh acidity, very complex and interesting aromas and flavors (herbal hints, white peach, even a hint of marmalade). Long; I bet this would age, although I haven't had older examples. 100% Friulano from a single hillside vineyard in the Colli Orientali del Friuli. Sixty-year-old vines, very low yields, very limited production, aged on the lees for 18 months. Excellent; I don't know how to define 'fine wine,' but I know it when I taste it, and this is it. Subtle, deep, complex, mineral, long. 100% Friulano from a single hillside vineyard in Collio. Seventy-year-old vines, very low yields, very limited production. Aged on the lees for 18 months. One of the best white wines I've drunk from Italy. We are currently selling a bottling of '01 Brazan that is labelled '140 Months,' because the wine spent almost 12 years in tank on the lees. Yes, it's amazing.